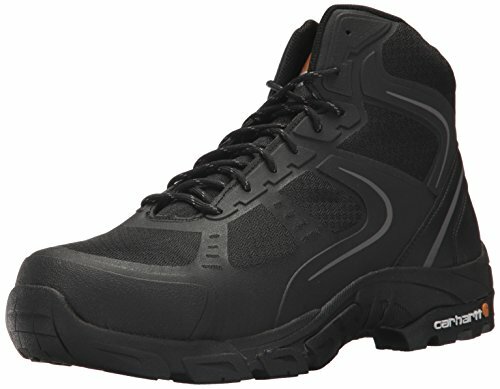 Carhartt doesn't just make high quality work boots, we also make high quality footwear for use in other environments. These lightweight hiking shoes are the choice of many for those long days on the trail, or running errands! Now packing new Insight Technology, we wanted to bring you the most comfortable shoes possible. Constructed with a "No sew" black nylon mesh and premium synthetic upper, cement constructed Carhartt rubber outsole and CMEVA midsole, we bring you a high quality hiker that you can rely on. Meets electrical hazard hazard rating ASTM 2413-11 EH. Since 1889, Carhartt has manufactured premium workwear known for exceptional durability, comfort and quality that you can feel in the materials and see in the performance. Just as our founder, Hamilton Carhartt, began four generations ago, Carhartt will continue to manufacture the most rugged and durable clothing and footwear for generations to come. Carhartt is proud to serve a variety of workers in many industries including construction and manufacturing along with farmers, ranchers, and outdoor enthusiasts. QUALITY YOU CAN TRUST - Carhartt boots and shoes are made for the working individual, we know how important it is to have gear you can depend on. This hiking shoe is constructed with a "No sew" black nylon mesh and premium synthetic upper, cement constructed Carhartt rubber outsole with CMEVA midsole. PU strobel pad with dual foam Insite Technology footbed.